SPARK PLUG JEEP AUTO-LITE 295. 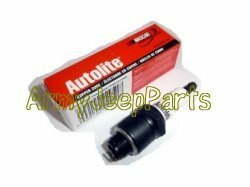 Spark plug Autolite 295. Please note the new production plugs are zinc plated not black ozide as in photo.